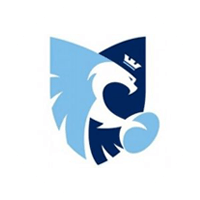 Nottingham Rugby narrowly lost 21-27 to Bedford Blues on Sunday 2 September, in a game which will be seen as a missed opportunity for the Green and Whites. A warm and sunny day at The Bay proved to be an omen for a bright performance from Neil Fowkes’ men, but ultimately, his side were left frustrated with a lukewarm result. A new look Nottingham saw Fowkes field 5 new players in his starting XV and in the early stages, Nottingham enjoyed a spell of sustained pressure and possession deep in the Bedford half. However, it would be the Blues who would strike the first blow. Capitalising on a a quick counter attack, winger Ryan Hutler scored the opening try the day, with William Hooley converting. Nottingham’s discipline began to falter and, after a the Blues were awarded a penalty, William Hooley slotted the ball between the posts to give the away side the lead of 0-10 after 10 minutes. Despite Bedford taking control, it would be the Green and Whites who would score next to fight their way back into the fixture. Sean Scanlon teamed up with Billy Robinson to score a contender for Try of the Week after a fantastic burst of pace to break through the Bedford line. Shane O’Leary converted for his first competitive points in a Green and White jersey. Nottingham’s comeback was short lived as their discipline let them down once more. William Hooley’s penalty was good, giving Bedford a six point lead over the Green and Whites. Minutes later, Bedford were on the score sheet again with centre Fraser Strachan scoring a try after a quick attacking move. William Hooley converted to put the Blues in a commanding position leading in to half time. On the 38th minute, Nottingham’s poor discipline let them down once more as new signing Llewelyn Jones was shown a yellow card for foul play. Half time and Bedford led 7-20 at The Bay. Nottingham started the second half brightly despite only having 14 men on the field for the opening minutes. Their efforts were rewarded on the 51st minute when Darryl Veenendaal bundled over the line to score a try to bring the Green and Whites back in to the game. Shane O’Leary converted. At 14-20, the game was in the balance at The Bay but Bedford showcased their ability to convert their chances on the 54th minute as Ryan Hutler scored another try. William Hooley converted once again. Heading in to the final 20 minutes, Nottingham took control and two yellow cards for Bedford within 3 minutes gave the Green and Whites the opportunity to turn the game around. However, a catalogue of errors in attacking play saw Fowkes’ men score one converted try before the final whistle. Will Millett was the scorer but it wasn’t enough to get the team the victory they feel they might have deserved. Speaking after the game, Head Coach Neil Fowkes said: “Today’s result was an example of what happens if you don’t take your chances. Bedford gave the lads a lesson in what happens when you do. 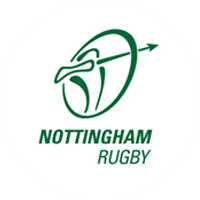 Nottingham face London Irish away in their next fixture of the Greene King IPA Championship on Saturday 8 September, kick off 3pm.